The 4010DUO uses advanced high current and high-performance synchronous buck-boost DC/DC converter technology to deliver up to 2000W of charging power, with a maximum charge/discharge current of up to 40A per channel and two channels in Synchronous Mode up to 70A! 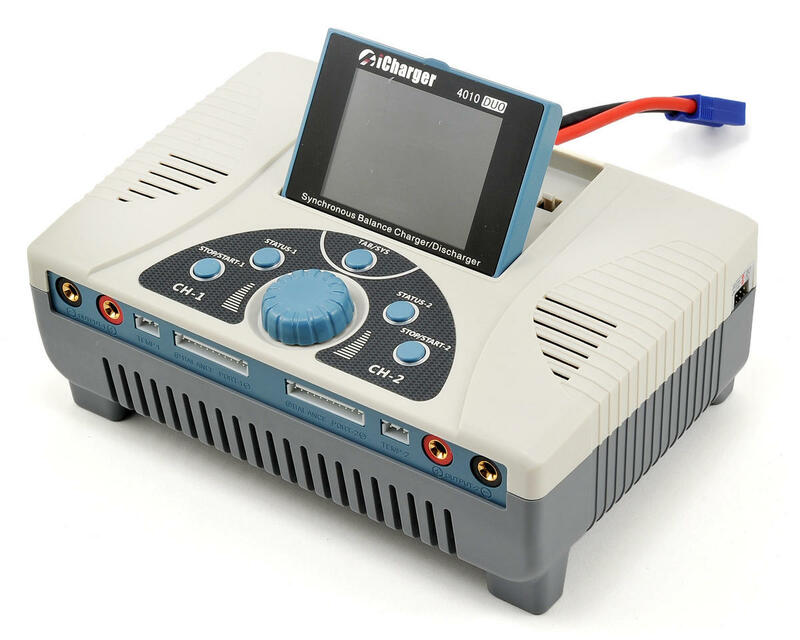 Each channel supports 10S lithium batteries, while the impressive TFT LCD screen provides critical battery information including current, voltage, power, capacity, internal resistance, control status, time-consuming, temperature, and more. 64 parameters sets can be saved without repeat settings, simply import/export via an SD card. 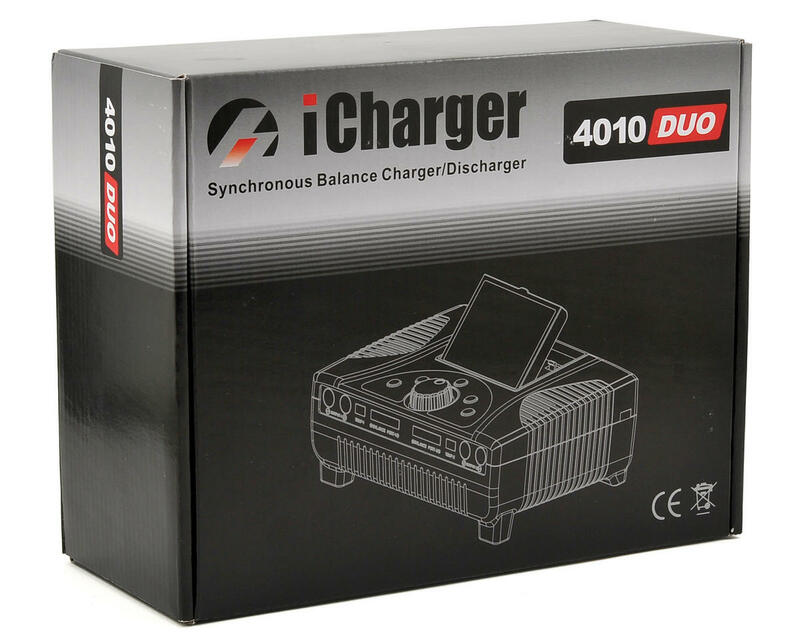 The 4010DUO applies a 1.2A balance current, and uses a unique "internal resistance correction" balance calculation, and the discharge features include discharge-self, regenerative to input discharge, regenerative to channel discharge, and lithium battery extra expanding discharge. Plus, the 4010DUO can measure not only the internal resistance of the entire battery pack, but also measure the internal resistance of the individual cells within the battery. Internal temperature protection keeps the charger operating safely and efficiently. When the internal temperature exceeds the threshold, the output power is automatically reduced and the charger will shut down when the temperature exceeds the cut-temperature. The intelligent fan control senses the internal temperature and uses an internal temperature sensor to control the fan speed. The 4010DUO has protection for reversed polarity (input or output), input voltage/current, battery temperature, charging capacity, time overrun, maximum power and more, while the multi-discharge features include discharge-self, regenerative to input discharge, regenerative to channel discharge, and lithium battery extra expanding discharge. The hardware programming can be updated through the USB port. The 4010DUO also supports “Logview” software to display, plot and analyze the charge and discharge data. Multi-discharge features: discharge-self, regenerative to input discharge, regenerative to channel discharge, and lithium battery extra expanding discharge. To download the product manual click here. Warranty Information: Please note for this particular unit, A-Main Hobbies does not handle the warranty service and will need to ship the unit to Junsi for repair or replacement. For this reason, we ask that you please allow 3-4 weeks for warranty service. this is a must have in pro stock, real easy to use, an it will make older batteries better....make sher you use 10gage wire ,from the charger to your battery , or it will melt. I love this Charger! I have been ARF flying park flyers for over a decade and know almost nothing about batteries and charging them. All my experience has been just plug the battery that came with the plane into the charger that came with the plane and fly, but this charger is so easy, I can use it. It seriously requires pressing enter like 4 or 5 times and your batteries are charging right up! I can see all this information about the batteries and I am learning so much in the process. I bought this charger because I am terrible about taking care of my batteries and keeping them charged. I normally just spend the entire day charging a pile of dead batteries so I can fly that evening. This thing charges all my batteries at the same time (literally 40+ all at once, multiple types and builds), it's crazy. I love this thing! It's built very solid and they paid attention to every detail. Even the wires they sent are 10AWG and come pre tinned! I highly recommend, regardless of skill level. Best charger on the market, period. Worth the money if you have a large collection of various battery chemistries, capacities and voltages. Works great, love the features and accuracy. I've owned other high-end chargers and this one blows them away! Everything about it is perfect, other than one thing. The balance wires fit extremely tight, so be vary careful removing them, to not tug on the wires. Granted this shouldn't be a problem, keep them on. I'd recommend you read the manual. To make sure you install the balance wires positive and negative connections correctly, plug them first into the balance boards. 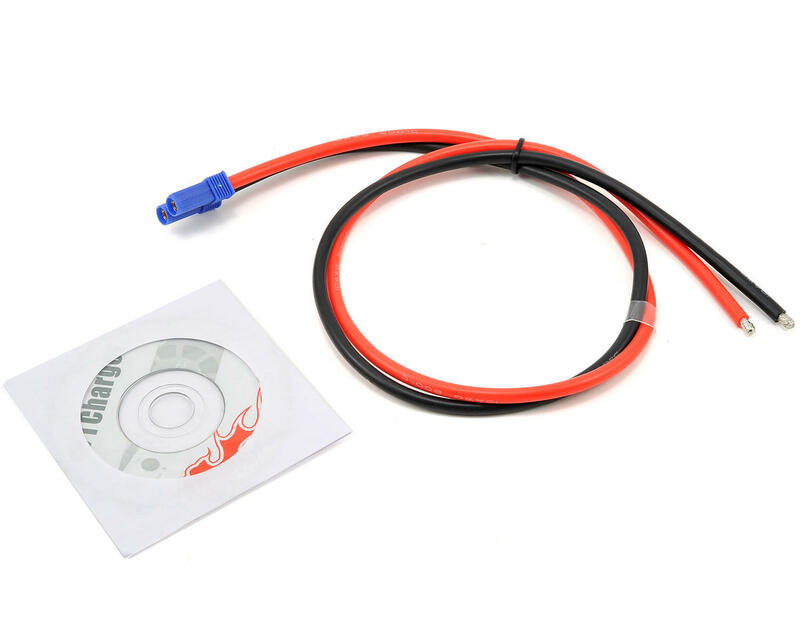 (They are marked + (Red wire) and - (Black wire) Else you can install them backwards. Not sure what this would do but I'm pretty sure it would be bad. 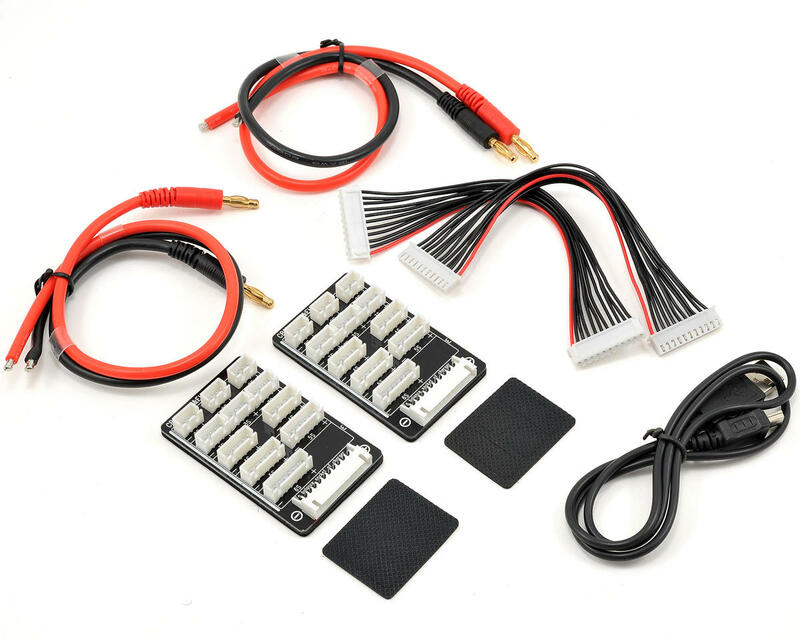 I must say it is the best on the market,I will never by another charger,this baby chargers all my lipos,even in my RC car.i got it for my helid,yes sir guy's you can't go wrong with the babie.Once U get one of these,U or going to say...I wish I would've got one of these a few years ago.Hay!guy I know it's cost a lot,but think about it I don't have to buy another charger for ever.i wish I could give it a Ten.